Olympic volleyball in Holyoke? Golf in Salem? What about Olympic hoops in Springfield, the city where basketball was born? A new WBUR poll shows that public support in Massachusetts rises if the games are spread across the commonwealth. But a bigger footprint may hurt Boston’s chances to win the bid on the international stage. When the U.S. Olympic Committee chose Boston over Los Angeles and San Francisco to be the U.S. bid city, this was a big reason. 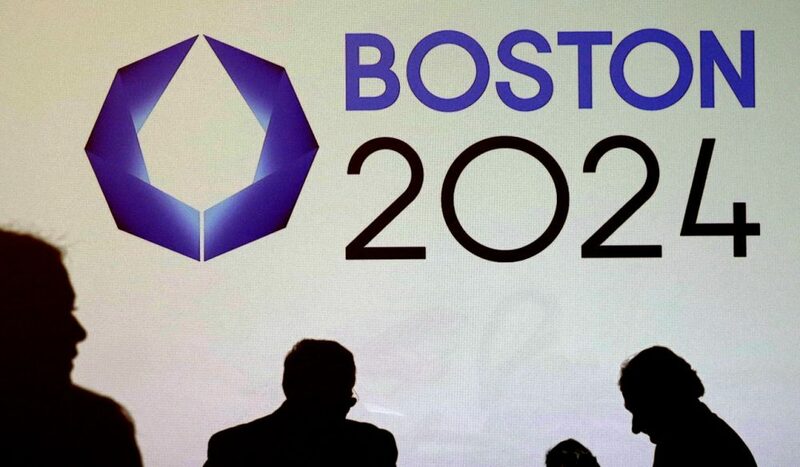 "We believe the Boston games can be the most walkable games in modern times," Boston 2024's David Manfredi, who made the pitch to the USOC, said in releasing the original bid documents to the public back in January. He said with clusters of competitions on the waterfront and along the Charles River, Boston would have 28 of 33 venues within 6 miles of each other, making the 2024 Summer Olympics easy to experience by public transit and by foot. "Because it will go to the character of the games, and it supports the idea that Boston, the city of Boston, is Olympic Park," Manfredi said. But now Olympic Park could be getting bigger. The WBUR poll shows that a majority of registered Massachusetts voters support the Olympics if the venues were to be spread across the state — 51 percent support compared with just 39 percent for games hosted in the Boston region. Boston 2024’s Erin Murphy says her group has already started working on that. Last week, the group announced sailing events would be held in New Bedford rather than Boston Harbor. Other cities are asking to get into the picture too. Holyoke Mayor Alex Morse said in his State of the City address earlier this year that one venue in particular should move west. "I believe that volleyball matches should be played here, where the sport was born," Morse said. "And the economic opportunity from hosting those matches goes without saying." But others warn against moving venues statewide. "That should be the exception rather than the rule," said Marc Draisen, who heads the Metropolitan Area Planning Council, a public agency for urban planning around Greater Boston. He argues for a compact Olympic Games to maximize the chance to improve housing and public transportation in Boston. "If it’s really going to be a walkable Olympics, then most everything needs to be in a pretty constrained physical space," he said. "And we think that would make it more successful, and frankly more enjoyable and lower cost." And maybe more successful on the international stage, since Boston is up against Paris and Rome to host the games. After all, boosters here sold the U.S. Olympic Committee on a compact Olympics — the USOC liked the idea of visitors and athletes not having to roll down California highways to get to events. Holding the Olympics along the Mass Pike was not the idea. But Pittsfield resident Tom Lewis thinks there’s room for Boston events to be joined by some in the Berkshires. "Well, you have everything for mountain biking. You need elevation and hills and dirt, and we have plenty of those!" Lewis said. "We have lakes and reservoirs that can hold a number of the rowing and paddling events." Lewis has been commenting on WBUR’s Facebook page, where he says opponents seem to be against the Olympics no matter how much Boston 2024 responds to public feedback. "Where it went from people saying, ‘There’s no way the city of Boston can handle this.’ Going from that to, ‘Well, wait a minute, we don’t want events outside of Boston because we were supposed to walk to them all!’ It’s just the irony," Lewis said. But it is somewhat of a tightrope for Boston 2024. The Olympics organizers are revising their bid to be released to the public later this month. They want to prepare a bid that would be compelling to members of the International Olympic Committee. But they also have to recognize the political reality of more support for a statewide Olympics, especially with a statewide referendum coming down the pike. This segment aired on June 10, 2015.